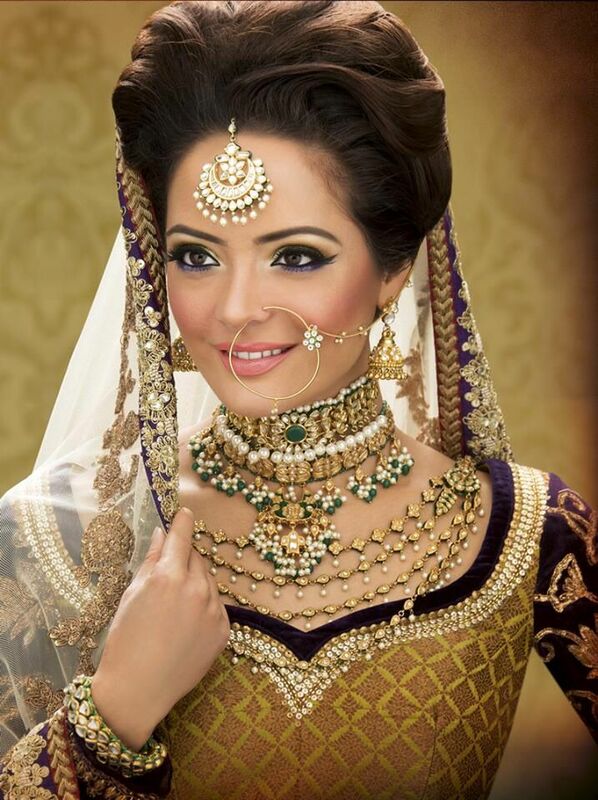 Indian bridal hairstyles get a chic makeover. Take a look at 17 romantic hairstyles that are bound to transform a beautiful bride into a princess from the fairytale land! The wedding season brings with it a lot of trends that are in vogue, trending or predicted by the trendsetters from the fashion and makeup industry. However, an Indian bride often neglects her hair. For some strange reason, the most essential part of her look gets totally ignored! These days, hairstylists are stepping up and emphasizing on the right hair look for special and casual occasions. Awareness is being created for the simple reason that a gorgeous hairstyle can make a whole lot of difference in your overall look. In any case, a wedding is the most beautiful moment in a girl’s life. It also happens to be the most romantic event for a would-be-bride. So, whether you are looking for high-volume waves or simple hair strands falling on your face or for that matter, an embellished look with flowers/hair accessories, Zuri is here to solve the issue. We have compiled an album of 17 romantic Indian wedding hairstyles that are highly recommended for the perfect dream wedding look. If you are going to wear a saree or a bridal gown on your wedding day, then don’t hesitate to opt for a messy mix of tousled braids for a gorgeous, chic and retro look. On your cocktail or wedding reception, give the extravagant gown/Indo-western attire a down-to-earth twist with a side-parting curly-wave. No harm in letting a few strands to fall on the face. Infact, you can also choose to wear a loose, pulled-back curls with a few face-framing tendrils with a simple lehenga. If you prefer a bold style statement and the mehndi night is all about halter neck blouse or choli, then the milkmaid braid twisted into a bun is the perfect accent or a stylish Dutch/French braid with a salwar kameez for a traditional look can look equally sassy. For a conventional look, dress up your waves and add a touch of whimsy for a sunny outdoor Haldi ceremony.. On your wedding day, the popular high bun or an oversized topknot can be flaunted with major statement earrings in gold or diamonds. Take a look at 17 gorgeous hairstyles and get inspired for an ultimate romantic bridal look for your pre and post bridal ceremonies.